Why Pay Dealership Prices and Wait? Get Service NOW! 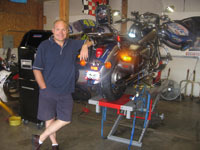 We Are Your Same Day Service Motorcycle Tire & Service Headquarters! CTW specializes in tires, brakes, and all maintenance services. Our prices and turnaround time cannot be beat, neither can the quality of the work performed. We are staffed by certified, seasoned professionals who have been riding, racing and working on motorcycles their entire lives. We also offer all manner of services such as repairs and troubleshooting, custom exhaust installation, suspension set up, handlebar and control change outs, etc. CTW also offers a selection of used motorcycles. Our motorcycles are hand selected and represent the the best value for the year, mileage and condition available. If you see a bike here you like don’t wait or it will be gone. I had to get my bike new tires an serviced but the only day I could pick it up was Sunday. Greg came down on to let me get my bike after hours. I highly recommend CTW. Great prices and their service is the best. I own several bikes and have had CTW do everything from install tires to accessories, pipes and tuning. Always great prices and excellent work. CTW is a unique shop in that I enjoy the personal attention I get from the people actually performing the job. Give them a try you will stay with them! I found CTW last year. Greg and the guys are very knowledgeable and always glad to help. They really go the extra mile. I recommend CTW to all the motorcyclists I know and meet. 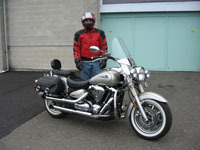 Great prices on all Harley Davidson scheduled service and maintenance performed by our experienced technicians. Great prices on all sportbike services, performed by genuine race team experienced technicians. 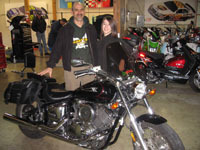 CTW also sells late model, freshly serviced used motorcycles, all with EZ Financing and layaway programs. You’ll never buy a bad bike at CTW or pay too much. Otherwise by appointment only. Must be scheduled with Greg. Call or text @ 253-376-7202. We answer our phone 7 days a week to better serve you – Call Us Today!